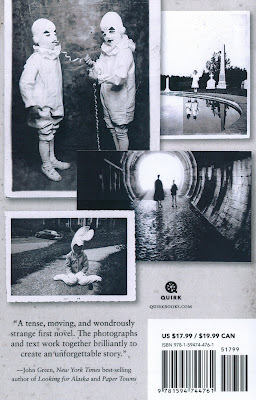 I don't know about you, but I am OBSESSED with Miss Peregrine's Home for Peculiar Children by Ransom Riggs! It was such an amazingly creepy book, but at the same time it was very touching and captured a moving story about acceptance. 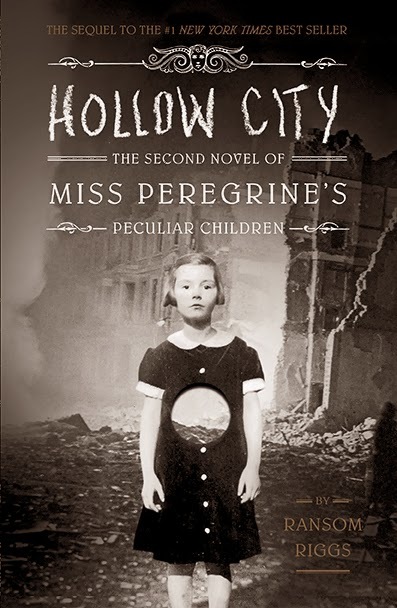 That being said, I can't wait to get my hands on the next book in the series, Hollow City. Oh it's so deliciously creepy, just like the first one! I've met Ransom Riggs in person and he is so lovely; and a cool fact about the books is that the photos used have all been ones that he has found with slight modifications to some. But most of them, like the ones on the back cover of Miss Peregrine's (to the right), are shown how they were originally found. Crazy right? If you haven't had a chance to pick up this creepy, awesome, imiginative book, then you're in luck because you can grab a copy of Miss Peregrine's Home for Peculiar Children in both paperback and hardcover! I recommend it, so you need to go forth and read!